Are you a gnocchi fan? I used to eat gnocchi the time growing up. They remind me of yummy tiny dumplings with a pillowy soft texture, absorbing whatever sauce or spices you toss them with. So yummy and comforting. While traditional gnocchi is made with potatoes and flour, my version is lower in carbs and grain free, using cauliflower and a mixture of cassava and coconut flour to make it paleo and allergen friendly. 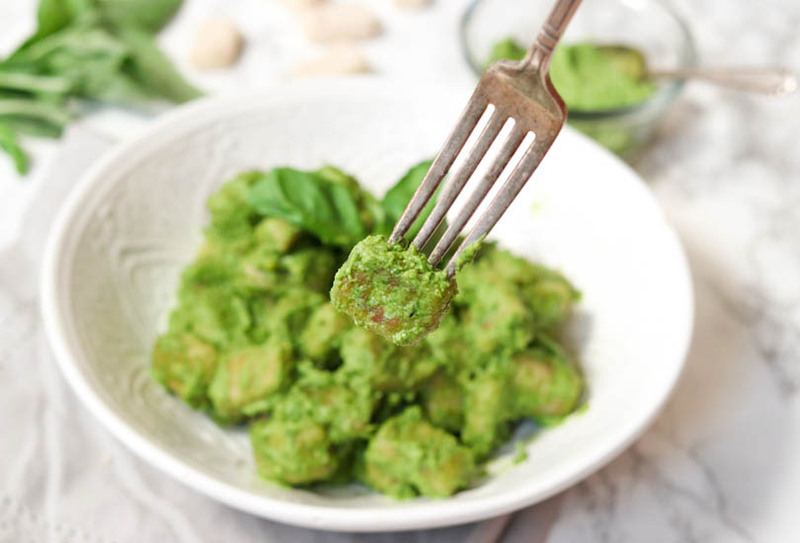 I also made a fantastic avocado pesto to toss the cauliflower gnocchi in, which is packed with flavor and so addicting that I’ve been eating it on everything. Feel free to serve this paleo gnocci hot or cold. Cauliflower – I used fresh whole head of cauliflower for this recipe, which yielded about 3-4 cups of florets. You can probably use frozen cauliflower florets as well, cooked the same way. Otto’s Cassava flour – Cassava flour is very similar to wheat flour but is grain free. Do not substitute with any other flour for this recipe. You can find it at health food stores, or it’s available here. Coconut flour – A bit of coconut flour is great for absorbing the moisture from the cooked cauliflower. I don’t recommend using any other flour. Nutritional yeast – I love nutritional yeast in the pesto because it gives a cheesy flavor to recipes while being diary free. If you have a hard time finding it, you can omit it. Place a steamer insert into a large saucepan and pour in water too just below the bottom of the steamer. 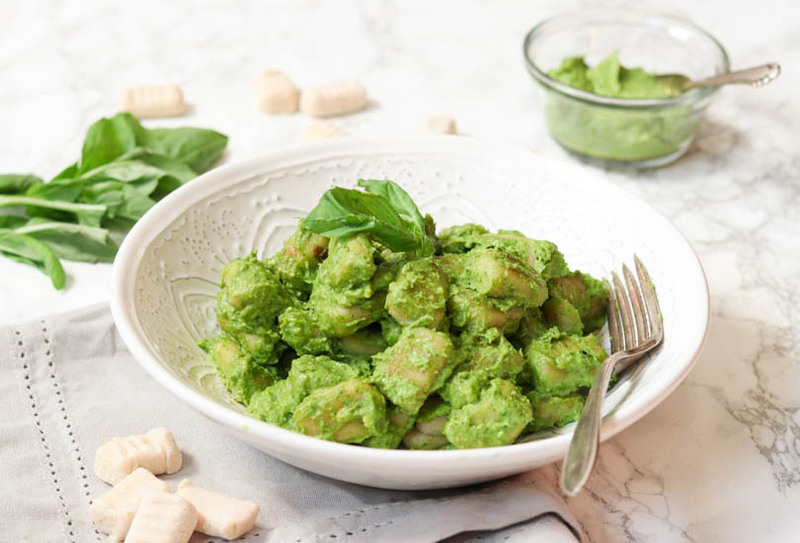 While the cauliflower is steaming, make the avocado pesto by putting all ingredients in a food processor or a blender and blending until smooth and creamy. Set aside. Roll your dough into ropes about ½ to ¾ inch thick, then cut the ropes into pieces that are about 1 inch long. If you'd like, use a fork to create indents on the gnocchi. Drop the gnocchi in the pot and cook until they float to the top, about 2 minutes. Drain the gnocchi and set aside. Heat 2 tbsp of coconut oil in a large skillet. Working in batches in needed, add gnocchi in a single layer and pan fry for 3 minutes. Flip over the gnocchi and pan fry for 3 additional minutes. Remove from heat and stir in avocado pesto. You might not need to use all the pesto. Serve hot or cold. Do you sell sweet potato flour? No I don’t sell it, but you could find it at Thrive Market. 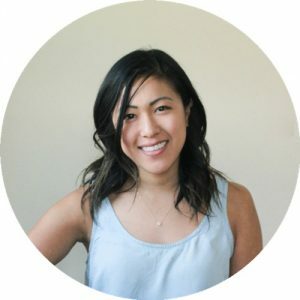 This recipe doesn’t use sweet potato flour, and I wouldn’t recommend using substitutes for the flours here. Can the gnocchi be frozen? Yes, it can be frozen. Just make the gnocchi ahead of time and freeze them on a sheet pan so they aren’t touching each other. Once frozen, you can transfer them to a freezer safe resealable bag. looks so good, how can i replace cassava flour? :-/ i have oat fiber, guargum powder and physilium husk available, could that work? No, there isn’t a substitute for the cassava flour here. Hello there. I am allergic to eggs. Any substitutions I could use? I don’t believe an egg substitute will work in this recipe, it is an important binding agent here. I used tapioca flour (which is made from cassava root) and it turned out well.